Excavations in Southern China during the late 20th century uncovered three possible Southern Shaolin temples: one on Jiulianshan (九蓮山; Jiulian Mountain) near Putian village (莆田) in Fujian (福建) Province; the second near Fuqing (芙卿), a county-level city of Fuzhou Prefecture in Fujian Province; and the third called Zhenguo Dong Chan Shaolin Temple or Zhenguo Eastern Dhyana Shaolin Monastery (鎮國東禪少林寺) at the foot of the Qingyuan Shan (清源山; Mount Qingyuan) near Quanzhou (泉州 ), formerly known as Chinchew, a prefecture-level city located by the Taiwan Strait in Fujian Province. The third temple is now commonly called Dongchan Shaolin. 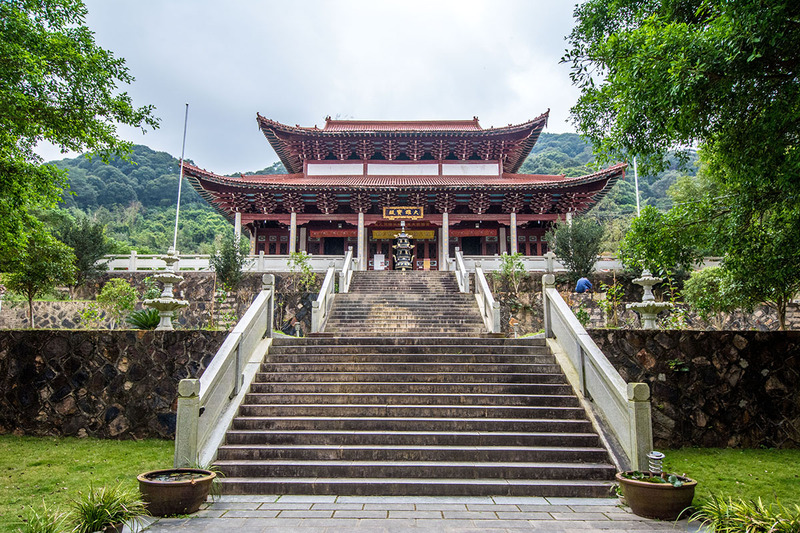 The first Southern Shaolin Temple was founded following a campaign by Northern Shaolin Temple Songshan (嵩山; Mount Song) monk warriors against Muslim pirates in aid of a young Tang Dynasty. Within a few decades of the beginning of the Muslim Era in 622 AD, Muslim diplomats and traders journeyed to China in a steady stream and formed foreign settlements. Arab and Persian pirates established themselves on Hainan Island (海南省), the smallest and southernmost province of China in the South China Sea. Their incursions into Fujian Province so menaced the stability and prosperity of Southern China that Tang Emperor Li Shimin (600-649 AD) called upon the Northern Shaolin Temple to aid him as it did during the establishment of the Tang dynasty. At the request of Emperor Li Shimin, three of the legendary 13 Shaolin Cudgel fighting monks, Dao Guang, Seng Man, and Seng Feng, led about 500 warrior monks to South China in the early 7th Century AD to campaign against pirates. The warrior monks valiantly helped the Tang military to defeat the pirates, but most of them perished in battle doing so. Some of the surviving Shaolin monks stayed behind at local unaffiliated Buddhist temples in the Southern provinces, to commemorate their fallen comrades. They were welcomed and followed by local monks, who sought to join the Shaolin order. Dao Guang initially returned to Song San Shaolin Temple where Tan Zong, the then grandmaster, wrote a poem for him: "Days and months fighting roving bandits, wishing a temple to stay at the foot of Jiulian Mountain; Southern and Northern Shaolin originates from the same temple with Ch'an Buddhism engraved in the heart forever." Tan Zong asked Dao Guang to build a Southern Shaolin Temple in honor of their fallen brothers and to spread the Ch'an Buddhism of the Northern Songshan Temple. 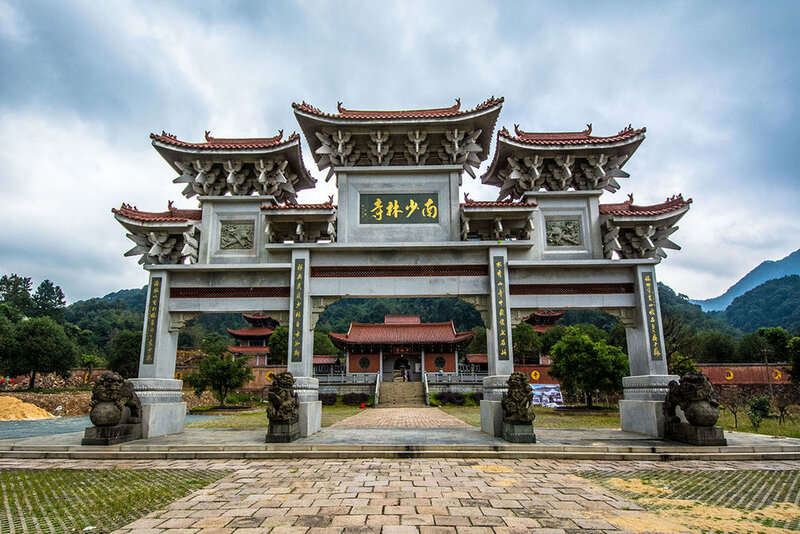 Dao Guang returned to Fujian Province and selected Putian Linshan Mountain (臨山) as the location of the first Southern Shaolin Temple for its resemblance to the topography of Jiulian Mountain. Emperor Li Shimin approved the site and the temple’s construction. Li Shimin (Imperial title - Tai-Tsung or Taizong) ruled from 626-649 AD. He brought Buddhism and Taoism together with Confucian policy to rule China in accordance with the Three Teachings (三教; Sān jiào) tradition. Southern Shaolin martial arts and the Ch’an tradition of the Southern Shaolin Temple were founded during this period. The principles of Shaolin culture and practical fighting techniques are taught in martial arts classes held by the Michigan Shaolin Wugong Temple.